James Clark is a acoustic singer/songwriter from the UK. His musical tastes span a huge variety of genres and at his gigs, he performs songs from such artists as “Adele,The Kinks, The Beatles, Oasis, Kings of Leon, Paul Simon,Ed Sheeran,Mumford & Songs Billy Joel, The Rolling Stones, The Smiths, The Levellers, Madness, David Gray, REM” and many many more. 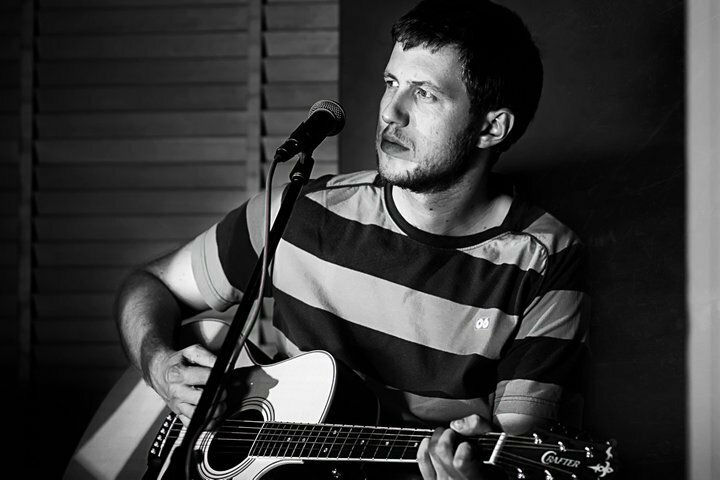 James has been performing since the age of thirteen, both with a band, in musical ensembles and as a solo acoustic guitarist making him perfect for any occasion including weddings, birthday parties, charity events, garden parties to name but a few. He also hosts two residency/open mic nights in the area which can be found on the “Acoustic Nights” page of this site. He has a full range of equipment which is all fully pat tested and can travel as far a field as needed for your event. James runs the company James Clark Events, which is dedicated to finding the perfect entertainment for your meeting, conference, wedding or party. Click here for the James Clark Events section of this website for more details.